After spending 6 nights in Hong Kong, we continue our long vacation to the neighboring Chinese Special Administrative Region of Macau. Macau has gained popularity for rivaling Las Vegas for its booming casino industry. And aside from big time casinos, this former Portuguese colony is also known for having a number of UNESCO World Heritage sites including the Ruins of St. Paul. And so from our hostel in Kowloon, we took a cab to get to the China Ferry Terminal. We took the 1pm ferry trip on board a New World First Ferry vessel. The ferry ride cost us HKD128 each and took about 1 hour. On our arrival at the Macau Ferry terminal, we had to pass through immigration. And from the terminal, we hired a van which cost us 200 Macau Patacas to take us to Hotel Sun Sun which is at the western side of the Macau Peninsula. The hotel did not have free shuttle service unlike many of the hotels in town. In front of the ferry terminal many hotels have their spots where they provide free shuttle service to their guests. The Venetian, Sands, Wynn, MGM Grand, and StarWorld hotels are some of those who have buses waiting in front. Posted in Asia, Casinos, China, Hong Kong, Macau, tour. 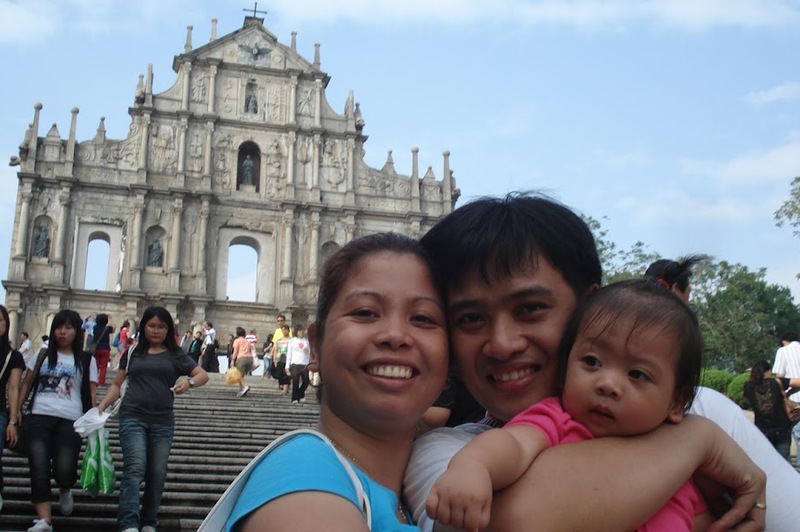 Tagged Asia's Las Vegas, casinos, Cotai Strip, gambling mecca, Largo do Senado, Portuguese colony, Senado Square, St. Paul's Ruins, UNESCO World Heritage Site. My very first international travel flew me to this exotic country that was caught in the midst of war a few decades ago. 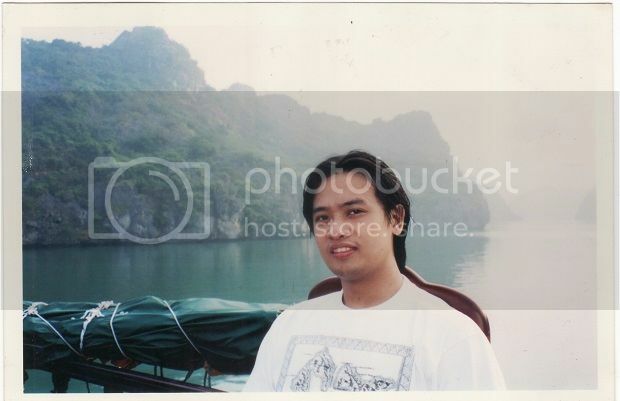 In October 8, 2003 through my work, my company sent me to Hanoi, Vietnam for a whole month. Hanoi, is the capital of this socialist republic and is situated on the northern part of what used to be the communist North Vietnam. Famous spots in Hanoi includes the Hoan Kiem Lake which is in the center of the city. Within Hanoi is the old French Quarters which is basically a section of the city filled with French architecture that was left by the long French occupation, including the Hanoi Opera House. Also, here you can visit the frozen tomb of Vietnam’s national hero, Ho Chi Minh. During my long stay in Vietnam, I, with 2 lady friends planned on going into this serene place and is one of UNESCO‘s world heritage sites. On the 2nd of November, we took an overnight cruise to Ha Long Bay. We got our cruise package from Handspan travel agency in Hanoi. Our package includes transportation from Hanoi’s busy commercial area to Ha Long Bay, guided tour to one of its caves, and our sumptuous meals. It costs US$50 each person in 2003. Posted in Asia, cruise, Halong Bay, Hanoi, spelunking, UNESCO, Vietnam. Tagged handspan, Ho Chi Minh, karst mountain, southeast asia, to do in Hanoi, to do in Vietnam, UNESCO World Heritage Site. Christmas last year (2006), my wife, two cousins, and myself embarked on a journey to visit a land among the mountains, the land of the Ifugaos. Through the Philippine Tourism Authority, we have procured a travel package to see two Philippine tourist destination that are found off-the-beaten track. We took a 3-day/2-night travel package to see Banaue, Bontoc, and Sagada. The package includes transport from Banaue to Sagada and back via Bontoc, breakfast and a packed lunch for the Sagada trip, tour guide, accommodation, and some souvenirs. Banaue is situated in the mountainous province of Ifugao, around 10 hour bus ride north of Manila. This is also the site of the majestic Banaue Rice Terraces which are rice paddies terraced on the mountain sides. These have been carved by the Ifugao tribes for thousands of years, even before the Spanish colonization. These are also composed of four UNESCO world heritage sites. Posted in Asia, Banaue, Batad, Cordillera, Ifugao, Philippines, rice terraces, tribal, UNESCO, Wonders of the World. Tagged Cordillera, cultural experience, Ifugao, Mountain Province, rice terraces, UNESCO World Heritage Site.